P&O Cruises has announced that it will sail the Britannia from St Lucia as part of an extended Caribbean fly-cruise program for 2016/17. Seven and 14-night itineraries go on sale this week. Described as family-friendly, the Britannia will offer a total of 28 Caribbean cruises, including flights to and from St. Lucia or Barbados. She sets sail from the new Caribbean port for the first time on Nov. 12, 2016 on a seven-night cruise, calling at Dominica, Antigua, St Maarten and Barbados. P&O Cruises marketing director, Christopher Edgington, commented: “We are excited to extend Britannia's 2016/17 Caribbean program to offer guests more choices. “Introducing new itineraries, which depart from or return to St. Lucia, will offer a new dimension to our Caribbean cruises. No other cruise line has it as a home port, so we are looking to make the most of this by offering an exciting range of shore excursions to maximize the time there. 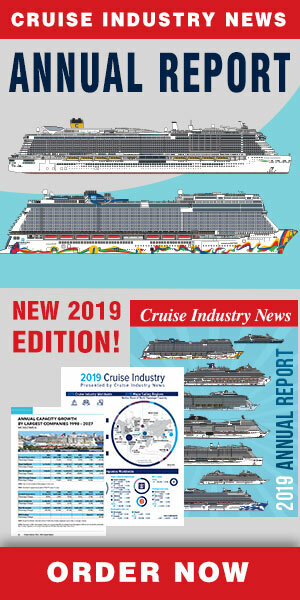 “It is also the first time we have offered a seven-night Caribbean cruise option. These new week-long itineraries will appeal to those wishing to escape the cold weather and see a number of destinations but who don’t have the time for a longer cruise. The cruises go on general sale from 8 a.m. on Thursday October 15. A seven-night Caribbean fly-cruise starts at £1,099 per person for an inside cabin and a 14-night Caribbean fly-cruise from £1,299. Prices include roundtrip flights from London Gatwick and transfers to and from the Britannia. Ports of call for the seven-day cruises starting in St. Lucia and ending in Barbados are Dominica, Antigua and St Maarten, and from Barbados to St. Luica, Curacao, Aruba, Grenada and St. Vincent. Seven-day cruises can be combined into 14-day sailings.